Wise Disk Cleaner is a free Disk Cleaner and Defragmenter that cleans junks of browsers, remove junk and useless file of Windows and defragments your disk. 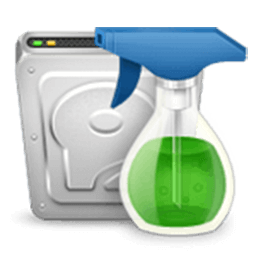 Also, it cleans temporary files, history, cookies and autocompletes form history of Internet Explorer, Chrome, Firefox and Safari browsers. And it removes of Windows junk files, such as Recycle Bin, Recent Documents, Temporary files, and Log files. This freeware tool cleans a lot more files than most similar products and includes a “slim down” mode that gets rid of a lot of extraneous objects including wallpapers and other Windows files you may never use. A disk defrag feature is also included for free. Clean your disk with Wise Disk Cleaner and your computer will run faster. Your hard disk drive will get fragmented over time. Fragmentation makes your hard disk do extra work that can slow down your computer. The ‘Disk Defrag feature can rearrange fragmented data so your disks and drives can work more efficiently. ‘Disk Defrag also offers you a clear graphic chart of the selected drive, letting you know the drive usage at a glance. You can also use it to analyze and defragment any external storage devices. You can set to clean the disk on a daily, weekly, or monthly schedule according to your own need. It will automatically clean up the useless files in the background when the scheduled time is up. In settings, you can also create a ‘Clean with 1-click’ icon and place it on the desktop. With this feature, you can clean up the junk files by just clicking the icon without opening Wise Disk Cleaner. Wise Disk Cleaner Free is completely free. Anyone can download it for free and enjoy the free automatic update and technical support by email. Better yet, this program is a small and absolutely virus-free program that consumes very little system resource. Has included more than 30 languages.